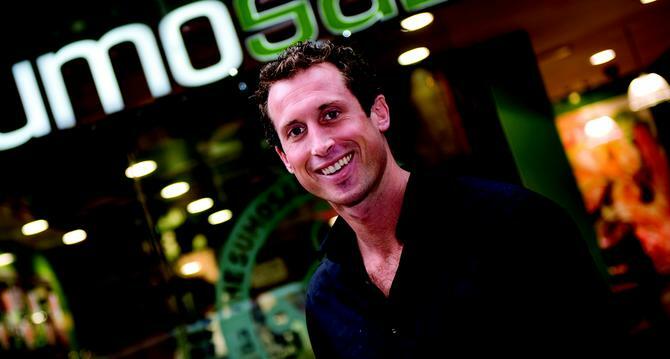 SumoSalad co-founder and CEO, Luke Baylis, talks about marketing's broader business role and why he's so keen to improve customer understanding at the healthy fast food restaurant chain. A digitally-driven marketing environment is enabling us… to have meaningful conversations and gain much greater insight into what our customers are looking for. Customers are very digitally connected these days. They are bombarded with information. This means that to have any serious engagement, brands need to establish a conversation with customers that is meaningful. As a CEO, my perception of marketing’s role… has changed compared with a few years ago. Originally, marketing was about communicating a message that you thought a broad audience would respond well to. Now that doesn’t have the same effect, because if you are communicating to everyone, that can mean you are communicating to no one. Marketing is now a much more holistic practice, as it encompasses customer experience and engagement at every touchpoint; in store, online, post-purchase customer support, loyalty and rewards interaction. The skills and attributes I expect our chief marketing officer/chief customer officer to have… all come back to understanding the customer. Not just from a demographical stand point, but a psychological one as well. It is important for the chief customer officer to be analytical, data driven and importantly, a people person. We’re allocating our marketing and digital dollars in the next 12 months… to furthering our understanding of Sumo’s customers. By using different data tools to enable this, we want to build more of a connected communication system that can be very direct and engaging. Sumo is looking to build a technology stack that enables us to pull insights from a range of different data sets, including data captured from the MySumo app, website, database and store network. Turning this data into insights will enable us to make better business decisions that positively affect our customers. One recent step we took to develop a business culture that’s focused on customer experience… is to hire our chief customer officer, Lawrence Mitchell, in February. Lawrence is responsible for enhancing the experience of our customers when they engage with Sumo, either in store, via the app or online. We’re using data strategically… by collecting a whole range of data points to help us understand what’s engaging customers and driving sales. Ultimately, it’s about leveraging data and analytics to build a smarter business so we can better serve our customers and create more personalised experiences. If I could only hire one new employee tomorrow… I would look to hire a chief technology or information officer, to drive the evolution of our technology stack and data management infrastructure. This would enable the business to have access to world-class tools to drive customer experience improvements across all touchpoints. The best piece of professional advice I’ve been given is… you have to be prepared to cannibalise your existing business in order to innovate for your future customer. Because if you are not prepared to challenge or disrupt your own business, someone else will.